3D Archives - Pebbles, Inc.
Hello Pebbles Friends! 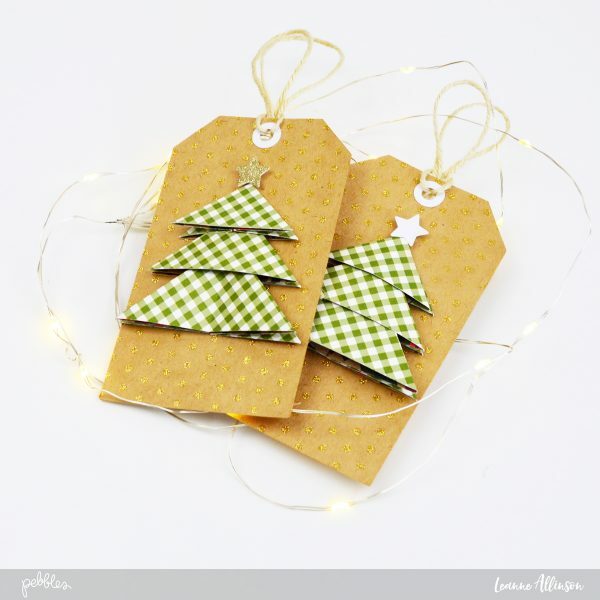 It’s Leanne here today sharing my ideas for some 3D Christmas tree décor items and tags to sit on the Christmas table. 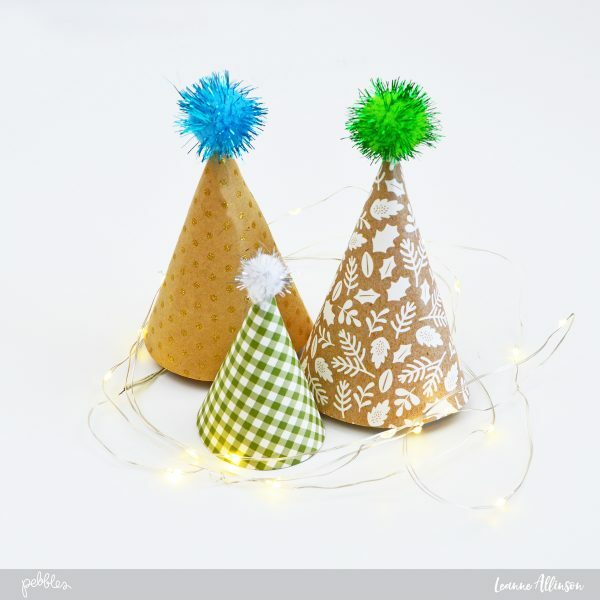 This week on the Pebbles blog, the design team have created lots of different ways to play with the new Merry Merry patterned paper collection. 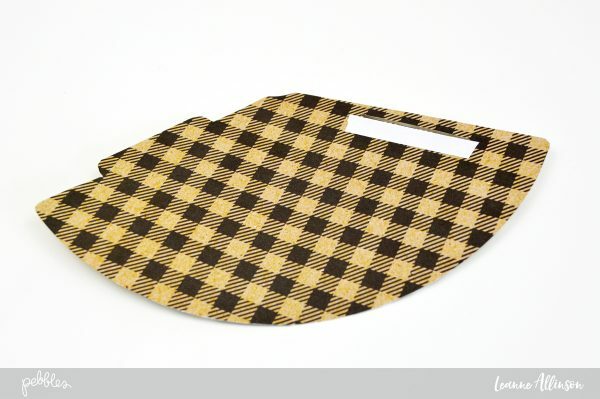 These 3D décor items can be dressed as elegantly as you want, or paired down with classic kraft. I’ve chosen to limit my colour palette to kraft, green, gold and white. The touches of gold glitter add the extra sparkle that is required at Christmas time! 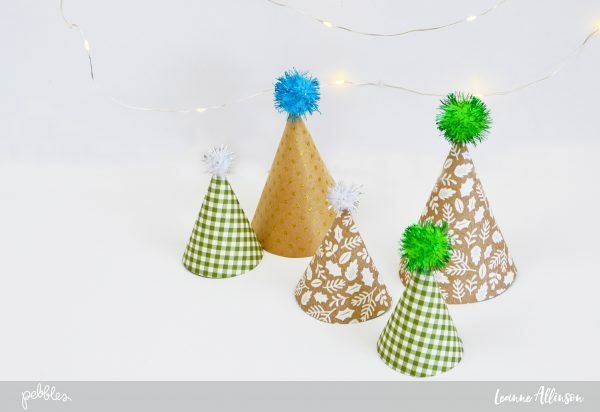 Start with gathering your supplies: kraft cardstock, white and gold glitter cardstock, white offcut cardstock, patterned paper, twine, star punch. 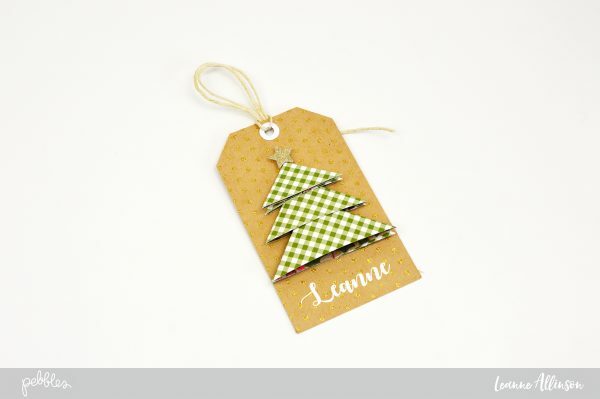 step 1: Create a tag from the Merry Merry Glittered Cardstock. Trim a tag reinforcement circle from white cardstock and add directly to your tag. 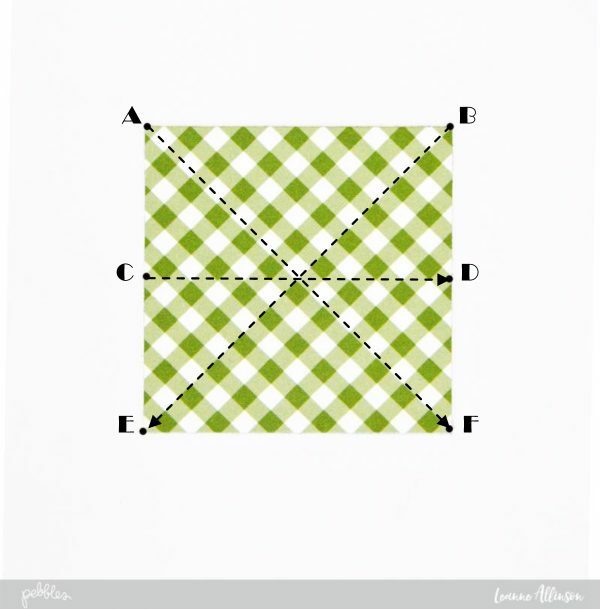 Trim three (3) squares of patterned paper – 1 x 3″x3″, 1 x 2.5″x2.5″, 1 X 2″x2″. step 2: To create the 3D Christmas tree effect, score along the lines on all three squares of patterned paper. Diagonally – A to F; diagonally B to E; along the center line C to D.
step 3: Fold and unfold along all three score lines. Refold along the center line – C to D. Once the square piece of paper has been folded in half, gently push points C and D inside the fold, to form a triangle. 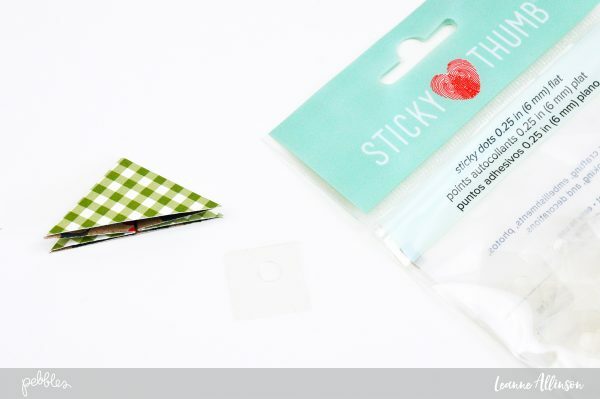 Secure the triangle with a sticky dot. 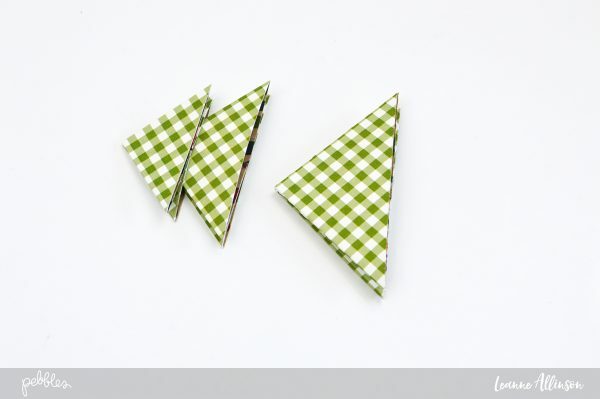 step 4: Assemble the tree by inserting the triangles inside each as shown below. step 5: Add the tree to the front of the tag, along with a gold glitter star mounted on a foam dot and twine. step 6: Using a white gel pen, write your loved ones names in the space on the bottom of the tag. 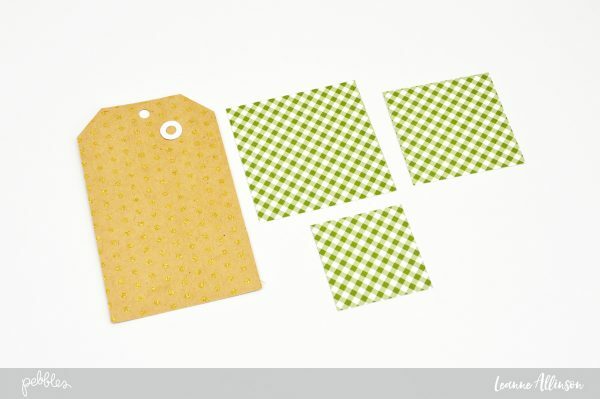 Once you know how to fold the squares of patterned paper, these 3D tags are easy to make on a mass production scale for the whole family! 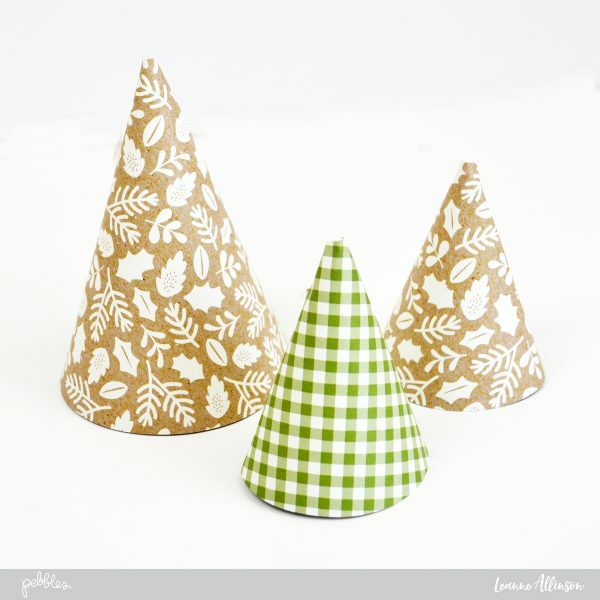 The paper cone Christmas tree is also very simple to recreate and will look amazing as part of your 3D Christmas décor. Start with gathering your supplies from the Merry Merry patterned paper collection. I have used Glittered Cardstock, Candy Stripes patterned paper and Holly Berries patterned paper. 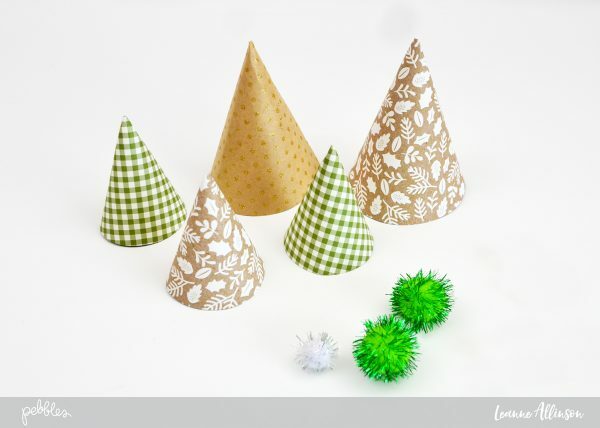 I’ve teamed these papers up with a free silhouette cut file and pretty Dollar Store pom poms. 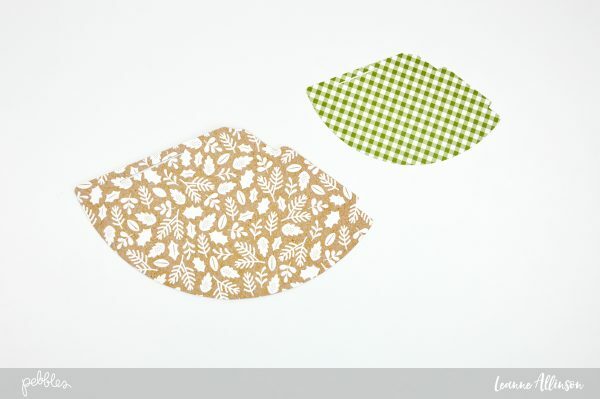 step 1: Source a free cone shape template from the internet and cut out patterned paper using either free hand or by using an electronic cutter. step 2: Create the cone shape and adhere sides together. You can create different sizes for your cones using the silhouette software. 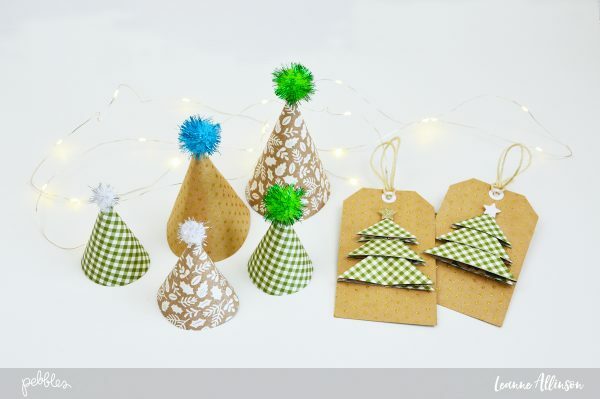 step 3: Upgrade your little 3D Christmas trees with the addition of hot gluing tinsel type pom poms on the top. Finally these cute little trees are ready to be displayed as part of your Christmas décor as well. Happy Holidays!